Kochi: BJP appears all out to crush Congress to emerge as a third force in the State, going by the infighting in the Congress. Political pundits feel all the parameters indicate towards this as they see no other reason for Congress leaders engaging in tarnishing the party image. Some leaders are sitting on the fence to shift the camp, according to political observers and time would prove it. 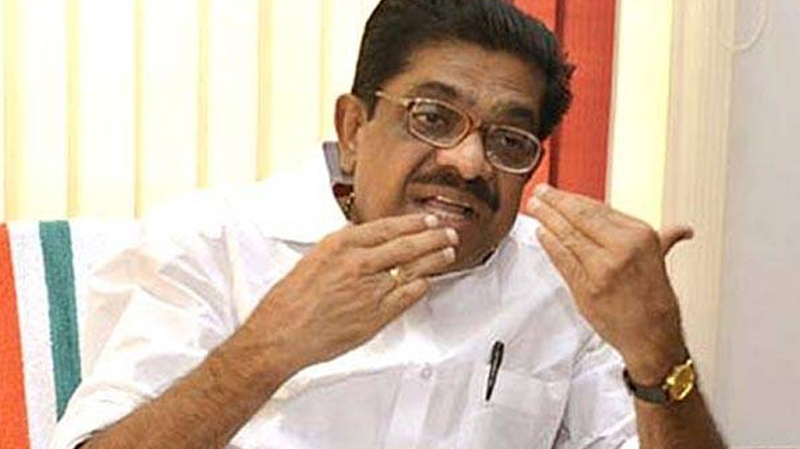 Today’s outburst by former KPCC president V M Sudheeran against the party bigwig AICC general secretary Oommen Chandy is an indicator to this, they feel. Sudheeran alleged that Chandy disliked his becoming the KPCC president a few years back. Sudheeran told a press conference that he got negative response from Chandy whenever he tried to discuss party issues with him. Despite his clean image, Sudheeran seems to be upset for not getting recognition from the party for the good work done by him. He seems to be realising now that there is limited space for him in the party amidst groupism and nasty politicking by coalition partners, they said. Known for his sincerity and integrity, Sudheeran frantically tried to fill the gap left by former Chief Minister and Defence Minister A K Antony, but failed. Justifying leaders of any party joining BJP, they said if a person like Alfonse Kannantanam, who had strong associations with the Left front, could join BJP, Congress leaders would have no difficulty in shaking hands with the saffron party, provided they got plum posts. On the other hand, hardline Congress supporters said the party was witnessing correction and it would bounce back with more vigour before the Lok Sabha polls. They reminded that the with a handful of MLAs,it had formed the first successful coalition government in the country under the leadership of the late Chief Minister K Karunakaran.